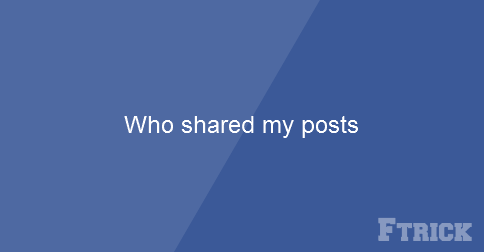 Home » Share » Who shared my posts? You heard this topic as nonsense a little bit? In reality, the post has the number of shares more than facebook shown. Please focus on the red line coz it’s ID of the post. If you are in charge of this job increasing shares and face up with this issue, you can use the link I mentioned above to check it. Thanks! 0 Response to "Who shared my posts?"